A few weeks ago, I shared our new French wedding armoire. I mentioned that I was looking forward to changing our night stands out. I chose a pair of "Emory Chests". They arrived last week! I found them on Joss & Main. They are also available on Wayfair. These are both affiliate links. I was looking for a pair of matching chests with a French Country shape, but not too "feminine" for my husband. 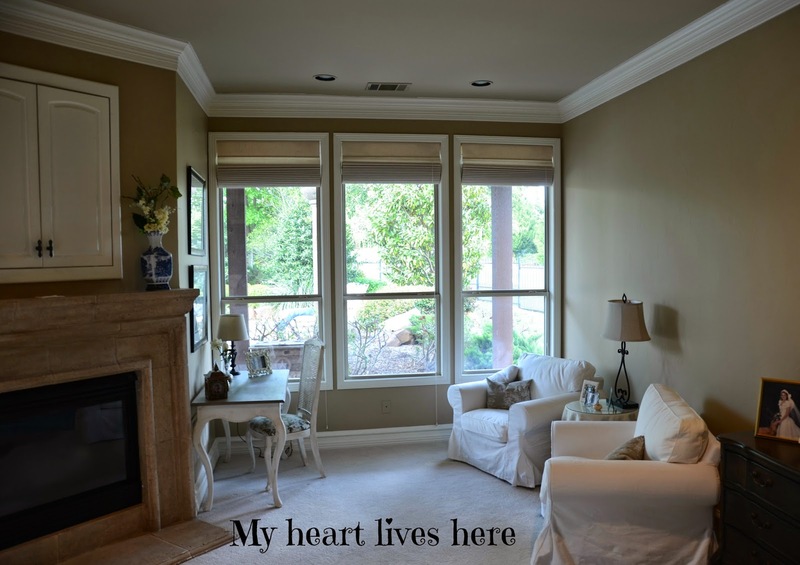 Love, love, love them with the existing iron bed, bedding, and wall color. 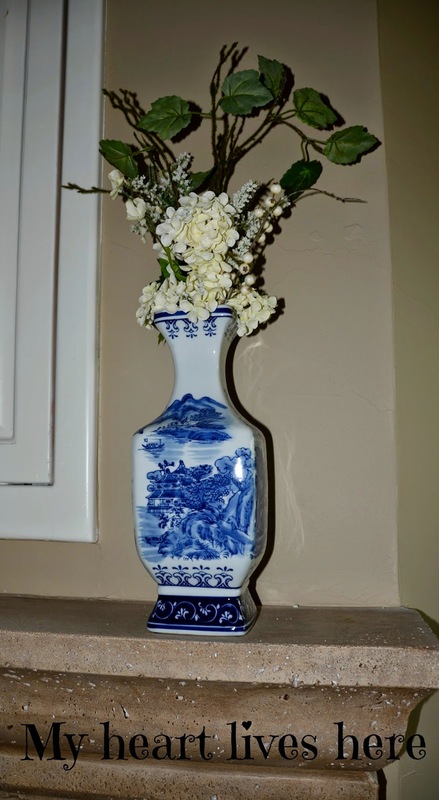 The blue and white vases are also new. I found them on One Kings Lane and added the greenery. The mantel is just 6 inches deep. It was a little tricky to find vases that fit the space, but these do! 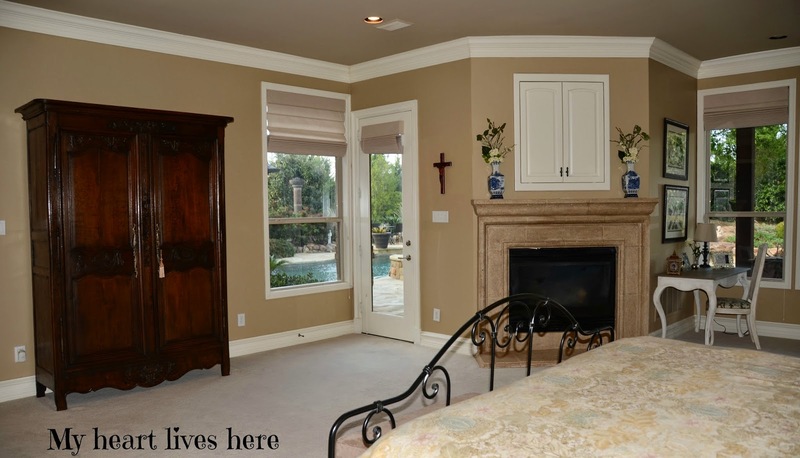 The white doors above the mantel conceal a t.v. Your bedroom is lovely. I love the chests and the vases. Trish, thank you and thanks for stopping by! What a fabulous bedroom! 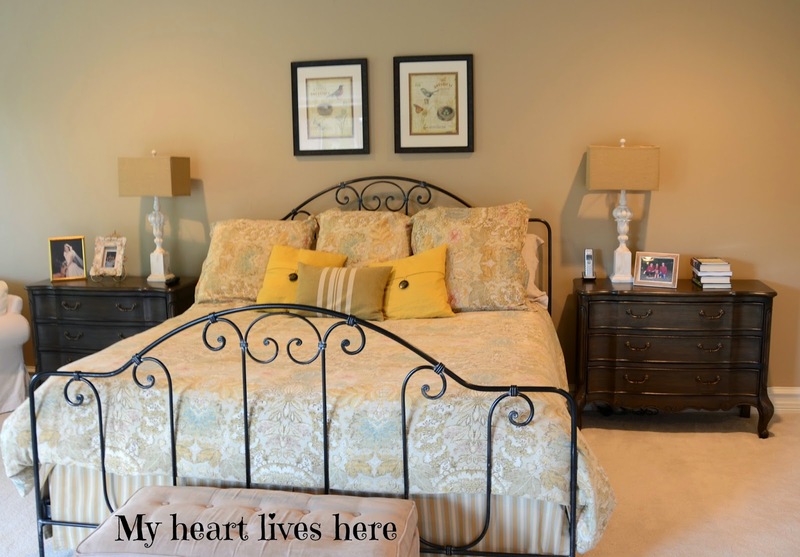 The bed and nightstands look wonderful. Love the blue and white vases on the mantel. One King's Lane is a favorite of mine. Eilis, the new furniture pieces are perfect beside your bed. Love the shape and finish. Our days are so beautiful lately I can see why it's hard to leave!